Upon opening In 2009, BANG quickly become known as NYC’s most welcoming and friendly place for drumming lessons. We teach drumming lessons to students from all over the city – from Brooklyn to Jersey. We welcome anyone and everyone. Our drum school is where children and adults learn from enthusiastic and patient teachers in a fun way. Where some students have lofty goals and some just want to see what drumming is like. We have a real, true, open door policy. 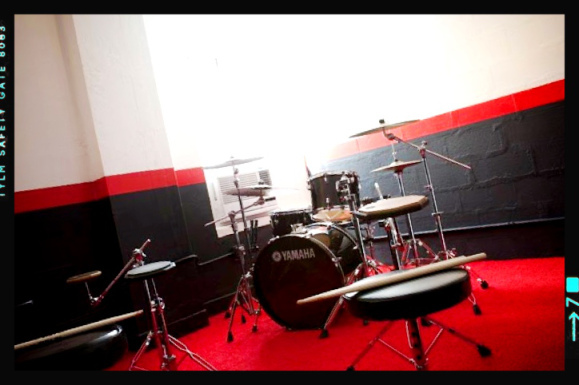 We offer 45 minute Private Drum Lessons to drum students of all abilities and ages. Our minimum age requirement is 7 years old. Our maximum age? There is none, and we’ve taught students in almost every decade of their lives from 20’s to 70’s. We’ve taught beginners who have never touched a stick and advised and taught professional touring and recording drummers too. Want to know about our private lessons? Read More Here. We also offer a long-running group class for adult beginners called The Absolute Beginners Group Class. It’s the only group class for beginning adults in NYC. If you have never played drums before and want some guidance, this is the class that will help you begin your drumming journey. You can Read More Here. Yes, we have our own proprietary teaching method. It’s built upon the idea that a well rounded and successful drummer must have certain skills and knowledge. The thinking and details behind that method come from the “The 11 Pilars of Drumming” which you can read about here. It’s true. We’ve got more five star reviews on YELP, Google and Facebook than anyone else in NY who is offering to teach you how to play drums. That’s got to mean something, right? BANG! The Drum School began in 2009 in the basement of a rehearsal studio below a motorcycle garage in the Williamsburg neighborhood of Brooklyn, NY. People came from all over the city for drumming lessons with us. Many people came to the Brooklyn studio from Manhattan and Queens to take the Absolute Beginners Group Class—the only class of its kind in the NY area. By 2011, BANG! had outgrown its first home and it was time to move. More space was needed, Mark (BANG’s founder) wanted to teach his drumming lessons in a nicer studio; and the Brooklyn location was prone to floods. Knowing that BANG needed capital, Mark decided to sell the drum set that was given to him by Modern Drummer magazine and Rush’s famed drummer, Neil Peart. Mark won the drum set as one of the winners of MD’s very first drum solo competition in 1988. The kit sold for $25,000, and the capital to build BANG! The Drum School’s move was secured. Read more about “The $25K Drum Solo” here. BANG’s studios align with our school’s philosophy. Our studios are beautiful; bright, clean and cheery, with great sounding drums and equipment. We’re the only place in NYC with our own beautiful gut renovated multi-studio facility, complete with a comfy waiting room. It’s a gorgeous drumming nirvana. See that photo above? That’s Studio 1 at BANG’s facility. It’s nice here! But MOST importantly–we have the BEST teachers! They are all professional drummers with deep teaching experience and top-notch educations, many from the top music schools in the country. In addition, our teachers have that “X factor” of personality. All of our teachers have a happy, positive and encouraging attitude and have a huge amount of patience. They have to, or they can’t teach at BANG! Our teachers are chosen carefully and must meet very high standards. We’re very picky because we only want the best. Our teachers love drumming more than almost anything else and they exude that energy when they teach. We all love drumming so much; we want you to experience the same joy behind the drum set that we have. This is all we do, and we love doing it. Come to us and find out for yourself how much fun drumming can be. And just in case you want to make sure we really know our stuff, have a look at our blog. It’s called The Drumming Blog, and it is one of the most visited and frequently read blogs about drumming in the world. It’s updated about once a week and it’s full of great drumming exercises and ideas. OK, ’nuff said! Come see us.